Adding an island to your kitchen is a great way to increase both counterspace and storage space. Considering that people always seem to need more of these two things, it’s a huge win. But not all islands work for all kitchens. Here are some key problems to avoid when planning your perfect island. An island can fill any of the five of the kitchen functions: storage, prep, cooking, serving, and washing up. Before you design anything, however, you need to decide which role (or roles) your island will fill. This will have an effect on the width and depth of your island, especially if you need room for major appliances. If you have a lot of room for a wide island, you can have multiple kitchen stations installed in it – for example, a stove and a sink. Most people want to incorporate seating on the island too, although that’s not always a great fit with a cooktop if you have a more formal space. If you’re going to install a cooktop on your island, don’t forget you’ll need a range hood above it. Otherwise your home will smell like those fried onions forever. If you don’t want a range hood hanging down into the middle of the space, put the sink on your island instead. If you’re interested in making your island a cleaning station with a sink, don’t forget the dishwasher should be included too. Just imagine rinsing a plate, then walking across the kitchen to put it in the dishwasher! Decide whether the dishwasher should be on the left or the right of the sink. It will also make sense to include space for garbage and recycling bins too. You may have a nice-sized kitchen now, but if your island is too large your kitchen will feel cramped. The general rule is that you will need at least 42 to 48 inches (106.68 cm to 121.92 cm) of open space around your island. 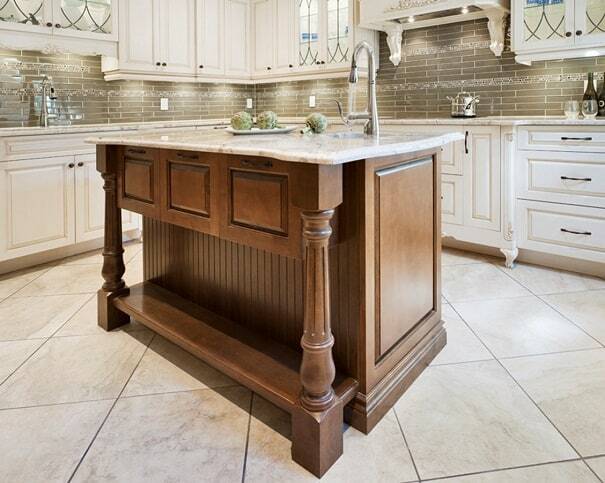 Another lifesaving guideline: if your kitchen is less than 13 feet wide, we don’t recommend adding an island at all. For a U-shaped kitchen, the opening should be at least 10 feet wide to accommodate an island without causing claustrophobia. Your island will need to be placed far enough away to avoid cutting into the path between sink, stove, and fridge – otherwise known as the working triangle. This path needs to be kept free to help you work as efficiently as possible. This can make a difference in open concept main floor layouts in small homes. If your island is going to be jutting out into the sitting area, maybe an island won’t work in your space. An island should be at minimum 2 feet long in order to be useful, but ideally at least 3 feet. If you don’t have enough space to allow this, we would recommend a mobile butcher block station or a simple table if you just need a bit more prep space. In terms of depth, usually islands are 4 feet deep to accommodate 2 sets of 24” deep cabinets back to back. If you’re doing a breakfast bar on the outside rather than storage, they are only one set of cabinets deep, but the bar will have 12-18 inches of overhang. Please keep in mind you’ll need to add extra space for any trim. For many people a large part of the appeal of islands is being able to add a breakfast bar. When deciding how many seats to add, ensure each person will have at least 24 inches of space. Otherwise people will be elbowing each other by accident when they eat. Chopping food can be a dangerous activity if you don’t have enough light to see what you’re doing. 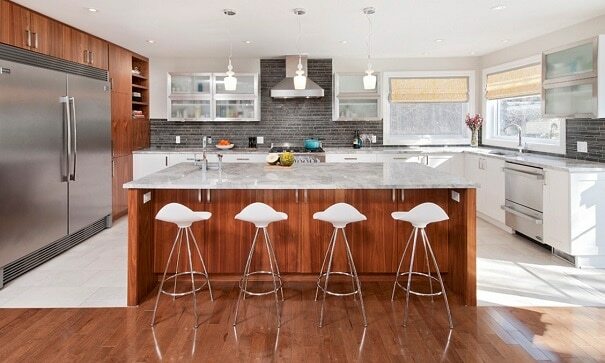 A trio of pendant lights can be an elegant way to boost illumination over an island. It really pays off to make them dimmable if you’re eating at the island too, though. Good lighting for prep work can be painfully bright when you sit down to eat. You can read more about kitchen lighting design here. Islands are often used for prep work because they offer convenient counter space. To make using blenders and food processors more convenient, make sure there’s an outlet built into the island. If you’re having a two-tier island built with a higher bar where your family can sit, that extra riser between the lower prep level and the bar can make a really handy place for the outlet. Of course, islands that incorporate stoves, dishwashers, and microwaves will need proper electricity and plumbing too. 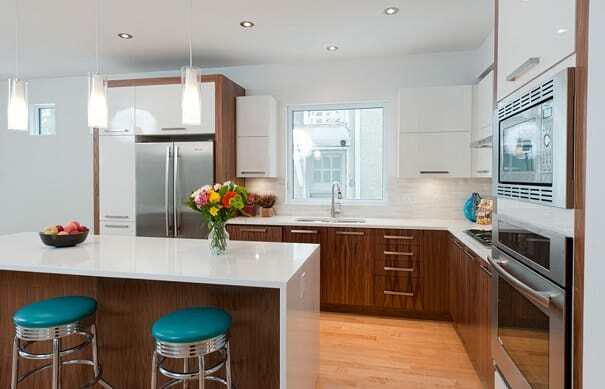 An island is a great place to add a little pop of colour to your kitchen. 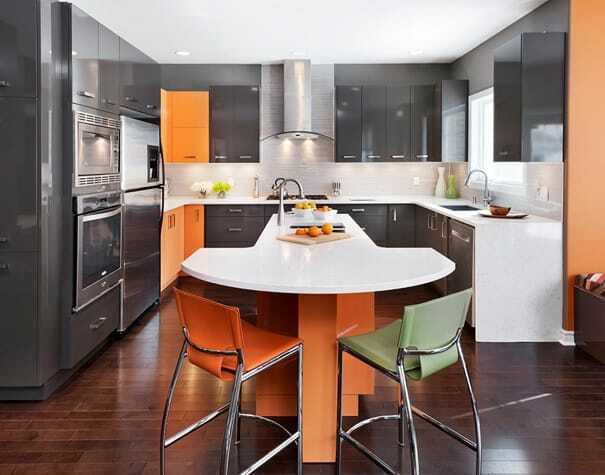 Have fun with a contrasting countertop or cabinet colour. Seats at the breakfast bar can be bright without having to commit – if you get sick of them or sell the house they can be easily replaced. 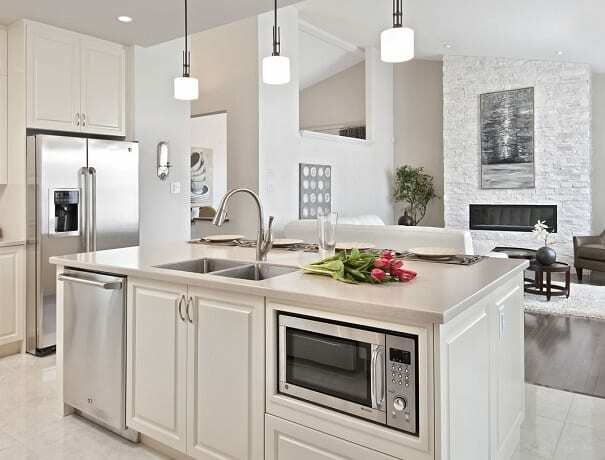 An island should integrate seamlessly into your kitchen, and should never make it feel crowded. 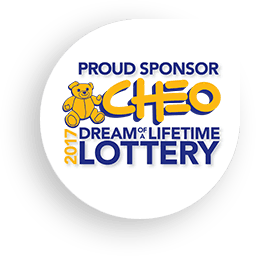 To make sure you get results you’ll be happy with for years, ensure you get the help of a professional designer. 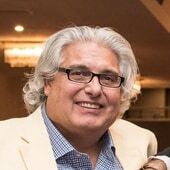 Our VP Marketing, Giuseppe is an active member in the Ottawa kitchen industry as well several local charities.